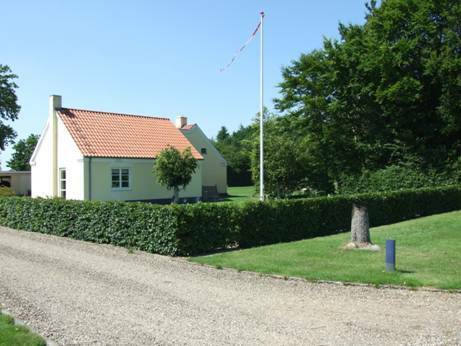 Welcome to our cozy Bed and Breakfast on Gunderupvej 6 in Herning. We receive guests who are in town for an exhibition or a concert. Our Bed and Breakfast is also suitable if you are in town on vacation, to play golf or on an extended fishing trip. Similarly we are also open for long term rental of our rooms. We have established 4 rental rooms with separate bathrooms and a joint kitchenettes. There is no smoking allowed in the rooms. The rooms feature both internet and TV. If you are bringing a dog, well then you will have a roofed dog yard (9 m2) at your disposal. We accept small dogs in the rooms in the ground floor – and we prefer they are sleeping in boxes. Outside there is a large westerly terrace complete with furniture and a grill. Each room has its own parking spot. Our Bed and Breakfast which covers more than 5500 m2 is in the countryside in tranquil surroundings with many trees and fields. Exhibition Centre Herning(MCH) is only 6 km away from our said address and the centre of Herning is only 6,5 km away. There is quick access to motorways 15 and 18 as they lie within 4 km of our BB. We have 4 rooms in our Bed and Breakfast.